You don’t need to be an expert stitcher to sew an endearing little softie. The materials used in softie-making are very easy to work with and can disguise a multitude of sins. And don’t forget, the odd wonky stitch or slightly lop-sided expression will (up to a point) only add to the unique handmade quality of your creations. Softies don’t need a lot of complicated equipment, and many can be made in just an evening or two, so you don’t need too much room or lots of expensive tools. 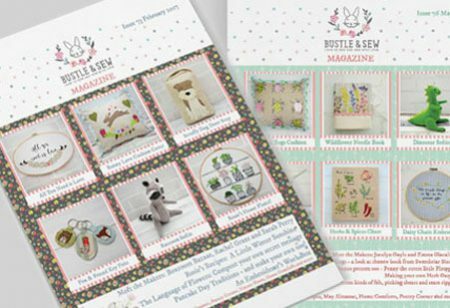 This book contains 15 softie designs drawn from the pages of the Bustle & Sew Magazine over the last six years ranging from the very easiest (one star) to the more complicated (three stars) though all should be well within the reach of the average stitcher. I have included actual size templates to save any fiddling around with printers and photocopiers. I don’t mind if you want to sell softies made from patterns in this book provided you credit Bustle & Sew with the design, but you are not licensed to go into mass production!